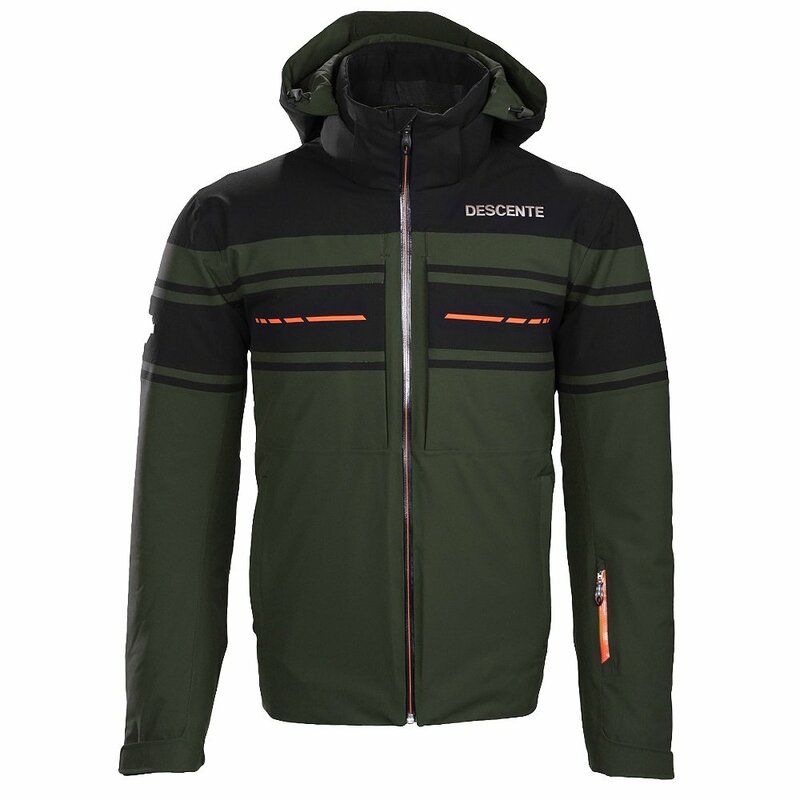 The Descente Canada Ski Cross GD jacket is among the best-equipped jackets for winter exploration. For starters, keeping warm is no issue with 700-fill goose duck down and 100G Thinsulate insulation. Matt 4-way stretch technology and Motion 3D Fit™ make for a natural fit with extra mobility. The internal powder skirt, Lycra cuffs, and full seam seal help to keep elements out, and warmth in. Not to mention the waterproof zips and inner stretch liner. The Descente Canada Ski Cross GD jacket is your best bet for staying prepared through your most extreme adventuring.